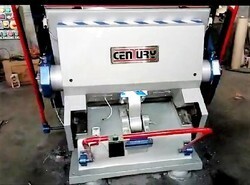 Platen Size: 24 X 34", 29 X 40", 35 X 45", 39 X 55", 45 X 65"
Dual head design with notcher on one side and edge punching on the other. 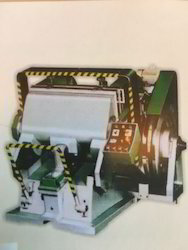 The heavy duty die platen punching presses we manufacture have gained huge appreciation in the market for their host of qualitative features. These are manufactured using qualitative material sourced form trusted vendors. These presses are available in the following specifications. This Heavy Duty Platen Die Cutter Press is meant for creasing, cutting & punching of card board as well as corrugated boxes. The machine is provided with safety devices like electro magnetic clutch, timer & brake for operator's safety.